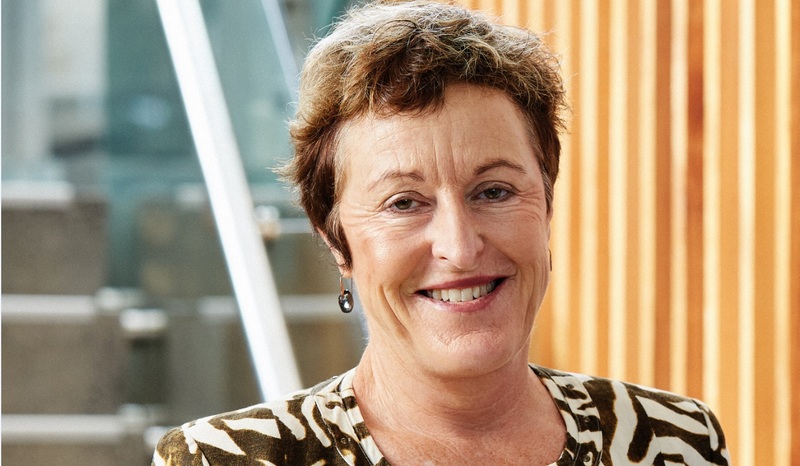 Alison Andrew is the Chief Executive Officer of Transpower, who own and operate the National Grid – the high voltage transmission network connecting areas of generation with towns and cities across New Zealand. 1. Where did your career begin? “I come from a family of doctors, and since I did fairly well at school in the science and maths subjects, everyone assumed I’d do medicine. But that was a catalyst to not do that – I don’t necessarily like doing what people expect! I wanted to do something vocational and science-based, so I picked engineering, and since I liked chemistry, chemical engineering. I didn’t really know what I was getting into. I wasn’t at all like many of my male counterparts who were well-versed in pulling apart their cars and motorbikes. “Of course I’m completely biased now, but I do believe that engineering is one of the best base degrees to do – it’s an excellent platform from which to build a career. It programs you to think logically, be extremely numerate, and gave me really strong problem structuring and problem solving skills. These skills were invaluable in my first job as engineer at the new Synfuels gas-to-gasoline plant under construction at Motunui. You’ll probably know it as Methanex’s big methanol plant in Taranaki. It was a fantastic place to work, but at the same time it could be very challenging. “We had a lot of fun with a young team and an amazing learning experience, working with world experts from Bechtel and Mobil. I was sent to Adelaide Refinery to work for six months of operating experience which was a real bonus, but an Australian refinery in the 1980s was a very sexist place and quite a challenge for a young Kiwi girl. I was the only female engineer and saw and heard a few things that wouldn’t be tolerated today! However, I had a great group of young engineers to work with and I think I earned the respect of the tough old operators. I certainly learnt to be resilient and pick my battles, to not be too sensitive and to not sweat the small stuff. I’m not easily offended these days – but I also don’t tolerate any bullying or harassment. 2. What's helped you get to where you are today? “Partway through my career I went to business school and completed my MBA at Warwick University. This was a real turning point for me. An MBA opens you up to a huge breath of thinking and teaches you data scanning and processing skills, so I’d really recommend that as an option for anyone wishing to progress their careers. But you need a context for all that learning – having spent several years in the workforce beforehand was a huge advantage. “Personally, the MBA experience really helped me focus, so I was well-prepared to start my leadership journey back in New Zealand as a Senior Business Analyst in the Fletcher Challenge group. I spent the next 11 years there in a variety of leadership roles before moving onto Fonterra for seven years in various business management positions. I discovered what I really like doing and what I’m good at: running and growing a business, and growing and developing people. That took me onto 4 years with Orica, running first the New Zealand, then the Global Chemicals businesses. 3. What do you think is the biggest challenge for women working in STEM? “It can be tricky because there’s this sense of you being ‘other’, or odd, just by being a woman in a male-oriented field. I think it is well recognised now that we don’t have enough women on boards, or women in senior management roles. The pipeline is not coming through yet – it takes time and we need to keep developing and encouraging women to pursue careers in this industry, as well as others. 4.Have things changed for women in STEM since you started out? “I still think it’s hard for women but it’s probably more insidiously hard now, as opposed to so overt. The good thing is that people are more aware of the issues and are addressing them in various ways. We didn’t have this before. 7. How do you define leadership? “I like that old definition of leadership: inspiring people to want to do what you want them to do. To me, leadership is 100 percent about being authentic, clear, and resilient. Authenticity is an absolutely essential part of being a leader – bring your whole self to work! We all want to work for someone who is authentic, who we can relate to, and feel like we know them. 6. What do you do when things don’t go to plan at work? “Over the years, I’ve built a good network of trusted advisors who can help me put things in perspective and consider different viewpoints. They’re great at helping me consider whether the problem lies with me, or with others – I really value their input. “You’ve got to be open to receiving feedback even when it’s brutally honest. Nobody likes hearing the uncomfortable stuff, but it’s so much easier to correct errant behaviours early on before they become too entrenched. There are valuable lessons to be learned from things going wrong, or from receiving uncomfortable feedback. It’s all in how you absorb and respond to that experience – do you go on the defensive, or do you lean into the conversation and learn from it? “Be strong in yourself. Be prepared to look at different things. Say yes to all opportunities, even ones that seem crazy! Your working careers are relatively long so you need to have a go early on trying things until you find out what you’re good at and what you like doing – and how can you know that until you try all sorts of things? Plus, in all those different experiences, you’ll meet people who will inspire you and support you along the way. “One of my proudest achievements is my family. I’ve got two boys who are now in their twenties – one’s an engineer and the other is studying engineering! And a husband who I’ve been married to for over 20 years. We’ve managed to both have successful careers, while raising two great boys and I’m proud to say we’ve managed a good work-life balance, thanks to strong extended family support. 9. Who is a woman you admire - and why? 10. How do you want to be remembered? “Well I always say I never shy away from a challenge, so that’s something I’d like to be remembered for. I want people to remember how much I believed in them, as I really enjoy developing people and watching them grow into themselves. We are building a new picture of what leadership looks like – we want to showcase women in New Zealand who are making a difference in a diverse mix of sectors, industries and regions. There are many ways to be a leader, as these inspiring women show us. For information and resources to help you reach your leadership goals, click here.